This statement is then followed by an encouraging one-liner, aimed at easing the pain of an unexpected event that has occurred, an often-painful deviation in life. These situations, such as an illness, failure, redundancy, or even the loss of a loved one, can be very traumatic and cause a lot of stress. Nevertheless, very little emphasis is placed on the mundane everyday happenings. Happenings such as missing the bus/train/flight, indefinitely being placed on hold by our mobile phone providers, having to stay back in the office, or getting stuck in traffic. While these seemingly everyday ‘curveballs’ are (rightfully) overlooked and deemed insignificant in comparison to major events like those mentioned above, these mishaps build up stresses that can affect the rest of the day. Additionally, depending on how we think/ react, they can cause the same kind of damage to our minds and overall health if not dealt with. Although easier said than done, primarily we must realise that ‘our reaction’ to these circumstances are pinnacle to how things will go on the pitch (field). Our decision in those spilt seconds, not only determine how we feel for the rest of the day or season, but can indirectly affect those around us as well. Our decision determines whether or not we hit that curveball. So the question is, when things don’t quite go our way, how do we ensure that it doesn’t negatively affect us and mess up the flow, because lets face it, it’s hard to face reality when it hits. Fancy words no longer impress and inspirational statements and quotes no longer inspire as they used to, because it’s no longer hypothetical or theory. It's become real. Whatever you do, try not to allow the issue(s) to get into your heart (guard your heart with all diligence*), because although at times life can be rosey, you may find a couple of thorns by the side. Everyone deals with situations differently, but what I do know is that the hidden God-given strength infused into our very fibre, will literally pull us through. You may not understand what’s going on around you, but trust that you will get through it. This has seen me through a season that was not only unexpected but also rough. 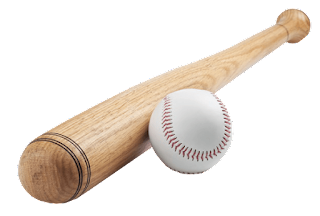 Remember the experience of hitting a curveball, will make you more confident to handle other situations that may arise. You’ll also be better equipped to hit those everyday curveballs without a hitch and have that ball sailing through the air.